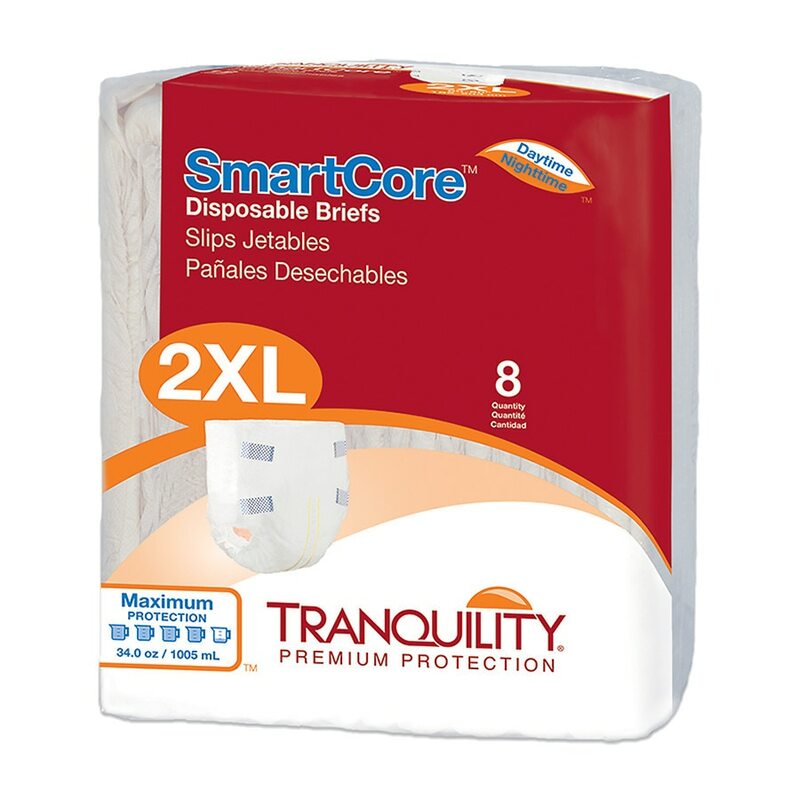 SmartCore disposable briefs maintain an ideal micro-climate for preserving skin integrity. The high capacity absorbent core remains effective up to 6-8 hours. The inner surface of the brief is treated with TQ-A/P (Tranquility Antimicrobial and Antifungal Protection). The treatment inhibits bacterial and fungal growth on the product. Breathable sides eliminate heat and moisture build-up. Micro-hook closure tabs grip the soft, cloth-like outer layer to securely fasten the brief and allow for multiple openings. Kufguards®, inner leg cuffs, channel fluids into the core, helping to contain high volume urge episodes and bowel incontinence. The capacity/wetness indicator turns from yellow to blue when moisture is present.